These nickel dust cover for rubber stem tubes are 2 1/2 Inch in length. These valve stem covers fit rubber stem tubes. 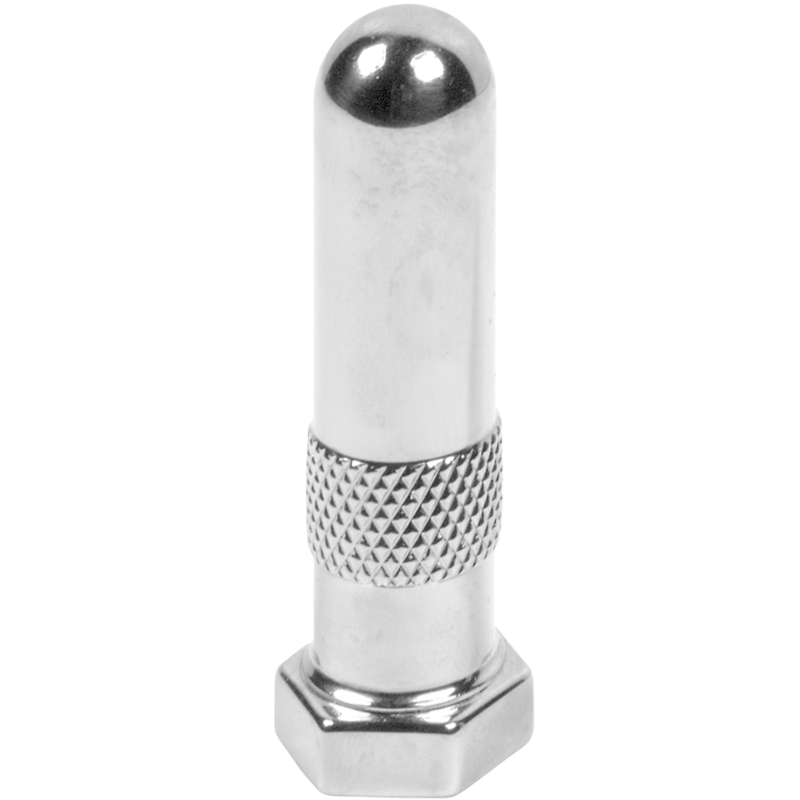 These polished nickel dust covers are designed to apply directly over TR135 rubber valve stems. Coker Tire Company offers several dust caps for cars all the way back to the early 1900s.